Knightmare Miniatures recently ran a Kickstarter to expand their mostly Kev Adams sculpted Greenskin Wars range. I used that opportunity to pick up the new Doom Goblins and a few more wolf riders and feral goblins. 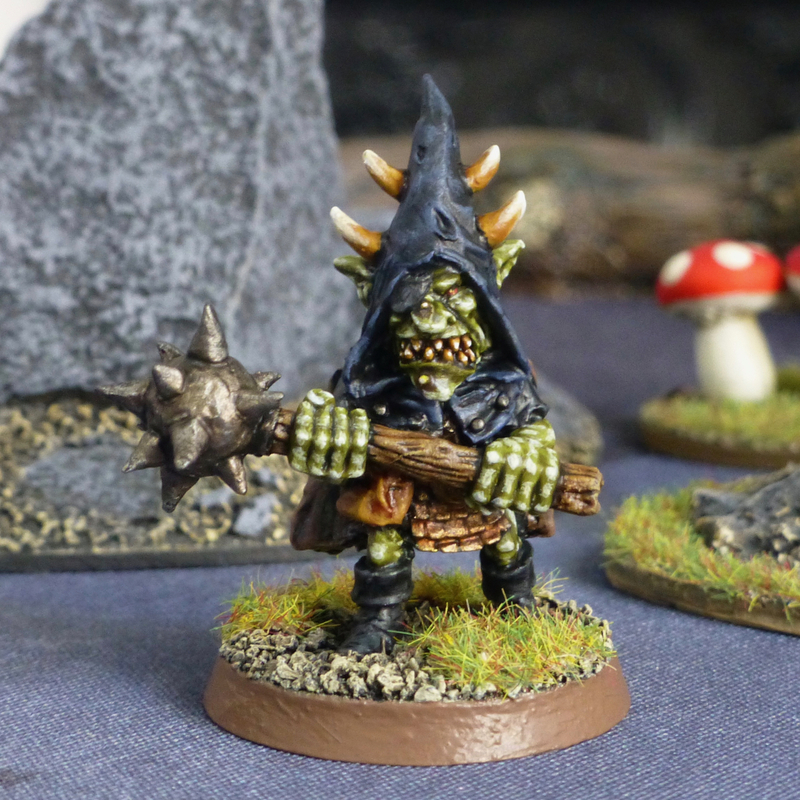 Alongside the four goblin warriors that I am still working on, the Doom Goblins received a new leader in the shape of this big bruiser carrying a massive morning star. Might makes right in goblin society, so there wasn’t much discussion regarding his role amongst the expanding tribe. You wanted to see my resume? I think Kev Adams is doing some of his best work at the moment with this range so I really need to catch up with my painting. 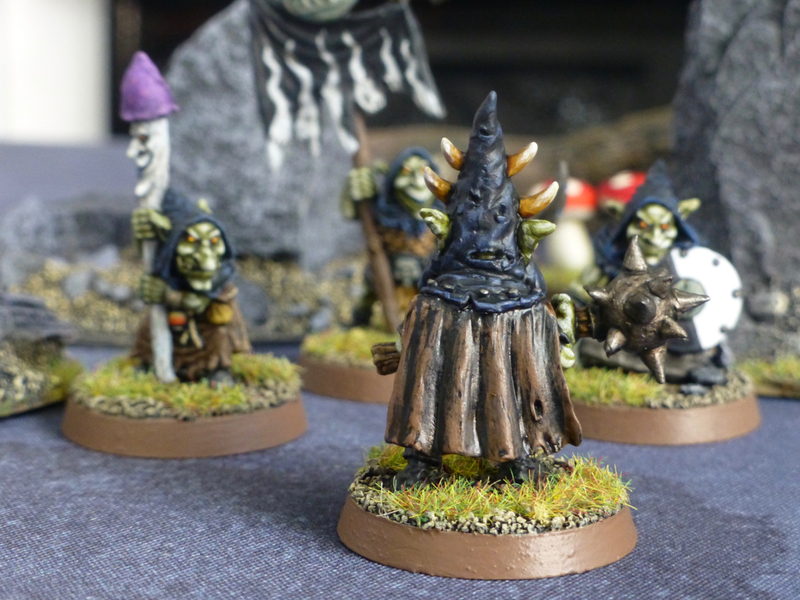 Also still looking forward to Saga Fantasy, although a generic goblin list would probably not do justice to their variety. Thinking about play testing the Doom Goblins as Saxons. 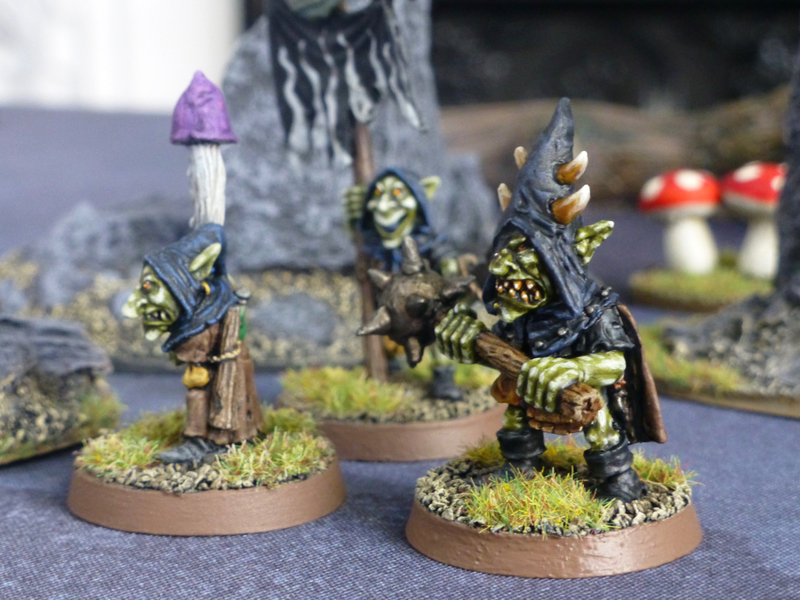 This entry was posted in Warhammer and tagged Doom Goblins, Goblins, Kev Adams, Knightmare Miniatures, Night Goblins, Orcs & Goblins. Bookmark the permalink. Yeah, he looks like he’s cracked open a few Ironbreakers throughout his career in the tunnels. That’s one great looking Goblin! Thanks, it is such a fun range to paint. He’s a bruiser if a goblin for sure. I really like the way you painted his horns – what paints and techniques did you use? It looks more than shading to me, and man I like it.